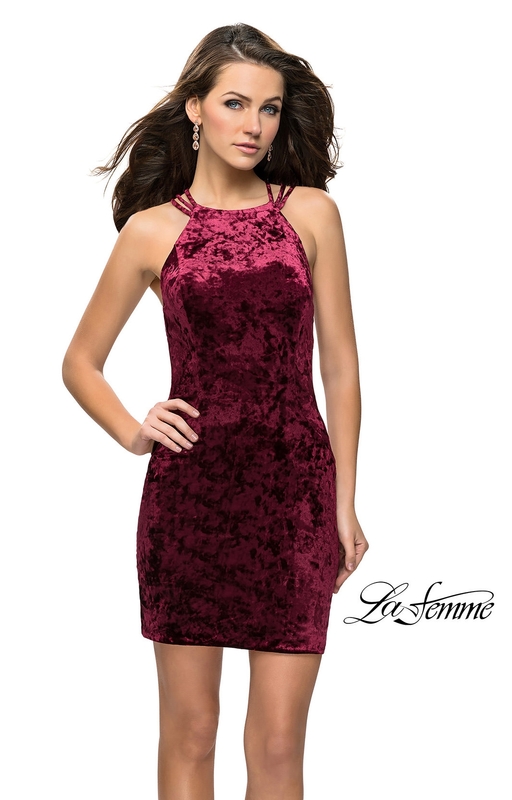 Check out this amazing La Femme 26663 Velvet short dress. This dress has a high neckline and an open back. The back of this dress looks so amazing because the straps crisscross. The dress is the velvet material and it is very fitted to your body.